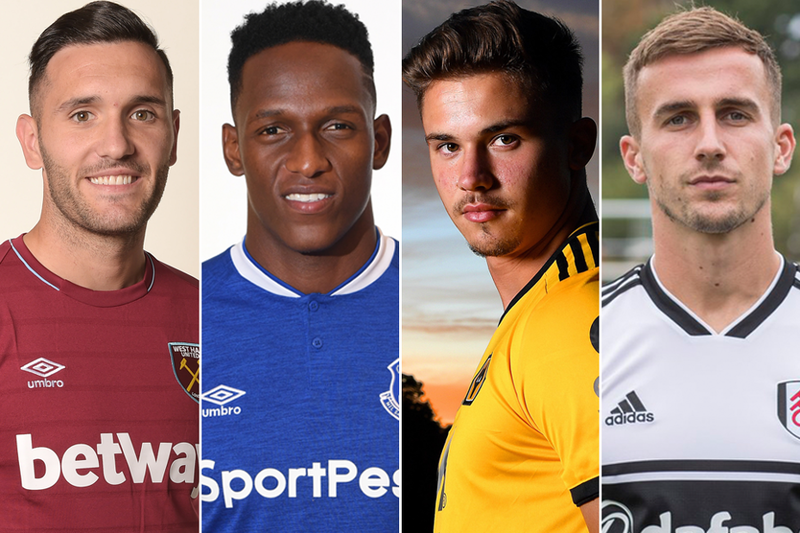 It has been a busy final of the 2018/19 Premier League summer transfer window with many signings made. An International Transfer Certificate (ITC) is required 75 minutes before kick-off of a match in order for that player to be eligible for selection. 17:30 The transfer window closed 30 minutes ago, but, remember, clubs can still complete signings by submitting deal sheets. The deal sheet allows a club to confirm that a deal has been reached to allow for additional time to submit the remaining documentation. It needs to arrive fully completed before the transfer window closes and once it arrives, clubs have until 19:00 to submit the full paperwork. A number of sheets have been submitted so further deals could be done. 17:15 Huddersfield Town manager David Wagner has been explaining his signing of Isaac Mbenza, the 22-year-old attacker. "He’s a very quick winger with a direct style of play, which is exactly what we were looking for," Wagner told Huddersfield's official website. 17:10 Sanchez, 32, has moved to West Ham on a two-year deal and returns to the Premier League after a two-year spell with Aston Villa. "I decided to come here because, first, it is the Premier League, second, it’s a beautiful club and the fans are always helping the club and, third, for me it’s an amazing opportunity and an amazing project the club are leading, being ambitious and keen to achieve good things," the defensive midfielder told West Ham's official website. 17:05 And a few transfers have been rushed in just after the window has shut. West Ham have announced the arrival of Carlos Sanchez from Fiorentina, while Huddersfield Town have brought in Isaac Mbenza on loan from Montpellier. 16:10 Chelsea signed Kepa Arrizabalaga last night from Athletic Bilbao and the goalkeeper has talked to media today about adapting to life in the Premier League. "It’s true the English game is different but I have a lot of friends, other Spanish players, already playing in the English Premier League and they’ve given me fantastic references about playing here," the 23-year-old told Chelsea's official website. 12:10 Manchester United open the 2018/19 Premier League at home to Leicester tomorrow at 20:00. These two sides will have to have registered any new players before midday today for them to be eligible to play at Old Trafford tomorrow. United manager Jose Mourinho has played down his club’s prospects of adding to his squad. "I'm not confident and the market closes today," he told Man Utd’s official website. "So it's time - at least for me - to stop thinking about the market because the market will be closed, so I will have to focus on the players I have in relation to this first couple of matches." Part 2: How do a club begin process of completing a player transfer?